Coleg Sir Gâr is a large, multi-campus, further education college. It has approximately 10,000 learners of which some 3,000 are full time and 7,000 are part time. There are approximately 1000 higher education learners. 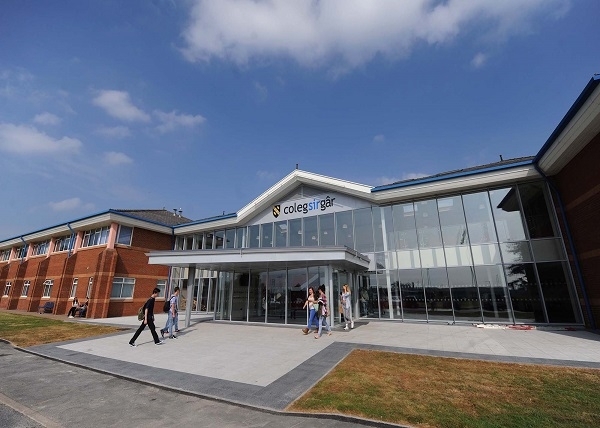 The College is based in South West Wales and has five main campuses at Llanelli (Graig), Carmarthen (Pibwrlwyd and Jobs Well), Ammanford and Llandeilo (Gelli Aur). Campuses vary in size and nature and most offer a variety of subjects. Coleg Sir Gâr is part of the University of Wales: Trinity Saint David Group - a Dual Sector University in south west Wales. The Group offers a range of integrated pathways from 16 upwards and has delivered transformational change for the region. Coleg Sir Gâr is one of the leading further education providers of Land based programmes in the UK. Courses are delivered in a highly enthusiastic and energetic learning environment underpinned with specialist resources including a farm and development centre that demonstrates best practice and is a leading knowledge transfer resource to the Welsh agricultural sector. Staff are highly experienced and qualified and are proactive in sharing this knowledge with their students in a highly supportive manner which ensures that all learners achieve their full potential. Agricultural, forestry countryside management and landbased engineering programmes are predominantly based at the college’s Gelli Aur campus which is a purpose built farm campus near Llandeilo whilst animal science, equine studies and floristry courses are delivered at Pibwrlwyd in Carmarthen in a specialist equine and animal centre which houses an aviary, exotic animal care facilities incorporating reptiles, fish and amphibians. Opportunities exist for school leavers, adults and employers who wish to train for the vocation or to update their professional skills. Apprenticeships are also available through the college with local employers providing the opportunity to learn an earn at the same time.